Christopher Smith is the PGA Lead Instructor at Pumpkin Ridge Golf Club in North Plains, OR, and at the KOR Physical Therapy and Athletic Wellness Clinic in Beaverton, OR. His unique coaching and instruction concepts – blending cutting edge technology with experience, knowledge, and insight – have been featured in GolfWeek, Golf Digest, and The Wall Street Journal. 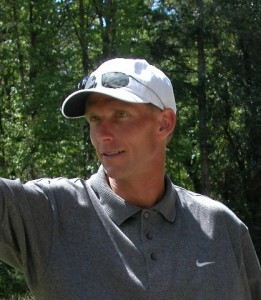 Christopher has presented numerous teaching, coaching and playing seminars and workshops for the PGA of America, is the author of I’ve Got 99 Swing Thoughts but ‘Hit the Ball’ Ain’t One (Crown, 2007), and the creator of the neuroscience-based Better Golf audio CD (both available at www.ChristopherSmithGolf.com). Christopher has instructed professionally since 1988 in a wide variety of environments, both domestically and abroad. His teaching and coaching experiences encompass stints in Florida, New England and Western Europe; his list of students includes Tour players, professional athletes, CEO’s, top-ranked juniors – and recreational hackers. Christopher played collegiate golf at the University of California at Santa Barbara, and later on the European Challenge Tour, before pursuing his passion for coaching and instruction. He is a graduate of the University of Utah where he holds a bachelor’s degree in French and Russian.